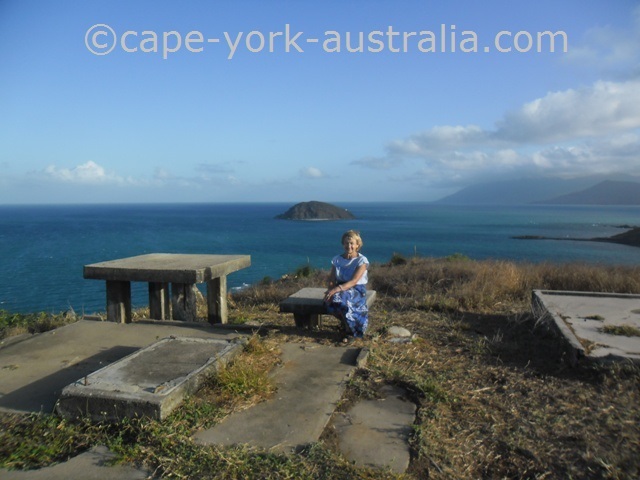 There are many great spots to discover south of Cooktown. 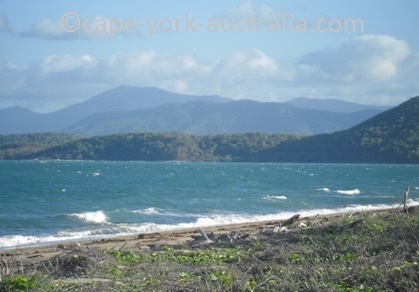 Cooktown really is a great place, and that's not only thanks to the town itself but also the amount of places to see and things to do both north and south of the town. There are some great drives, cool swimming holes, national parks and wildlife, great beaches to walk on, and some great places to enjoy fishing. 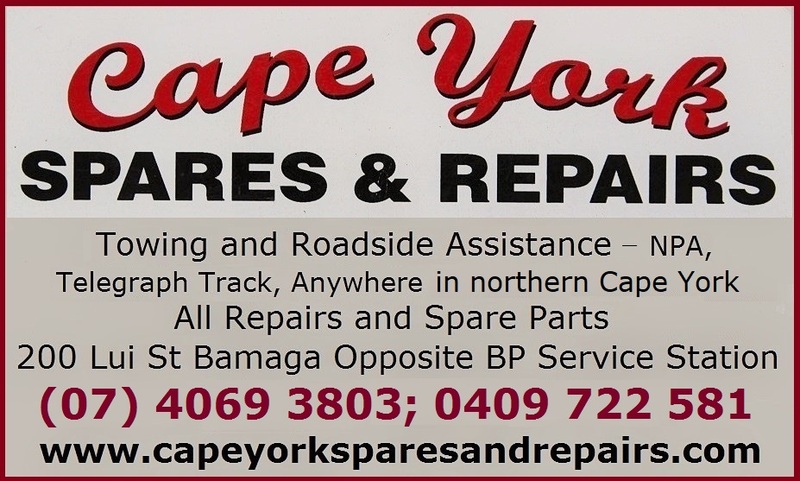 Further south from the area covered on this page you can either take the inland (Mulligan Highway), or the coastal road and (Helenvale Bloomfield RoadBloomfield Road) south to Cape Tribulation. Just south of Cooktown is Mt Cook National Park. It protects the highest mountain around here, and you can walk up there. The walk is quite demanding though so you need some fitness and planning. 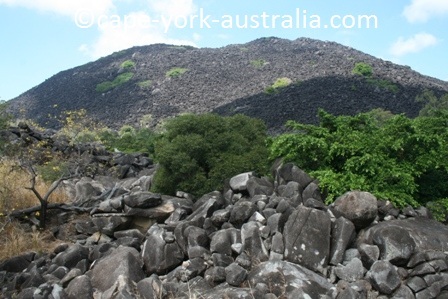 The lower slopes have dry vegetation, higher up is rainforest. 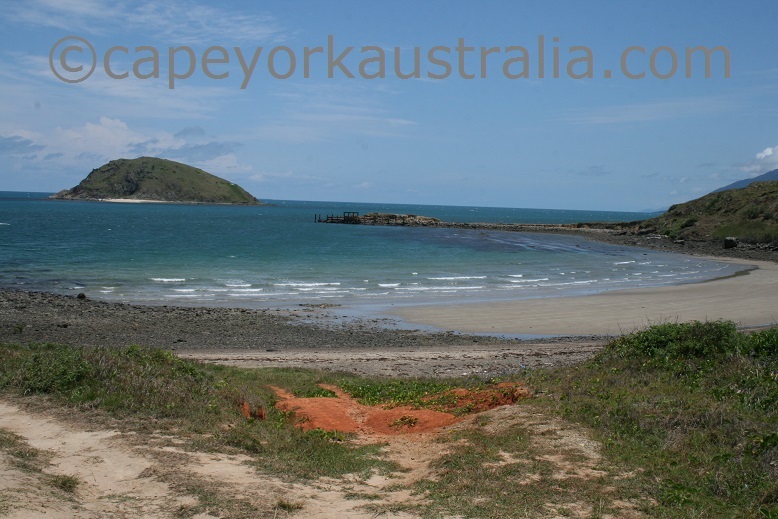 Just south of Mount Cook National Park is the turnoff to Quarantine Bay and the Cooktown Golf Club. 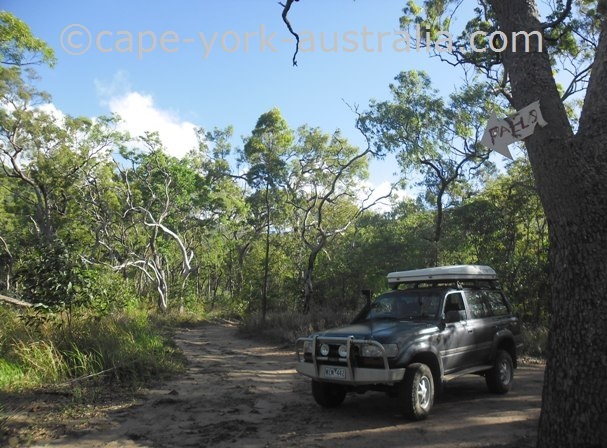 Just in front of the entrance to the golf club is a small four wheel drive track to Walker Bay - a beautiful beach with mountain views and some great fishing. Further south is this nice lagoon, where you can watch the birdlife from a bird hide that is a little walk away from the car park. As everywhere up here, the wildlife is more plentiful during the Wet Season. 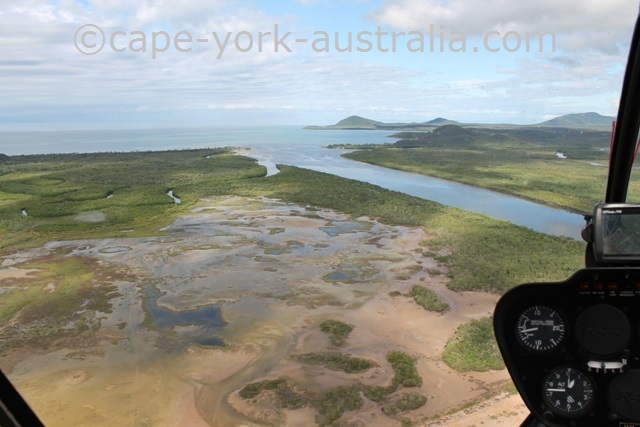 The next place south of Cooktown is Annan River - the largest river just south of Cooktown. 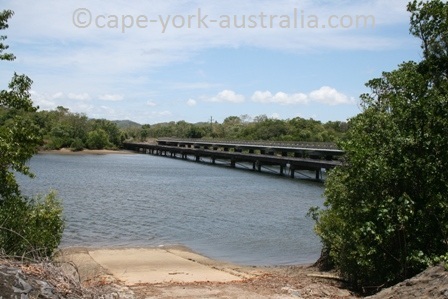 There is the "new" bridge, and also the Old Bridge, which in its day was one of the largest of its kind in Australia. South, and east of the river is Annan River National Park. South of the river is the turnoff to Archer Point. The road is a good gravel road, nothing too hard, and in the end of the road is a stunning spot with some great ocean views and two lighthouses. Further south are the beautiful Trevethan Falls. Back on the main road, the next spot south is Black Mountain National park, which you can enjoy from the lookout point next to the highway. 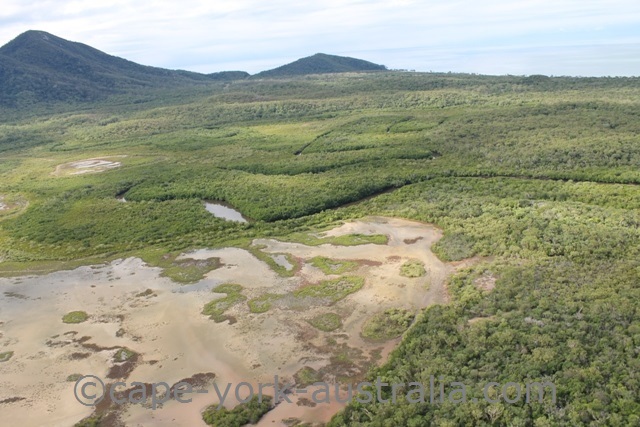 That's all you can do - there are no walks or camping, or no access at all to this park south of Cooktown. 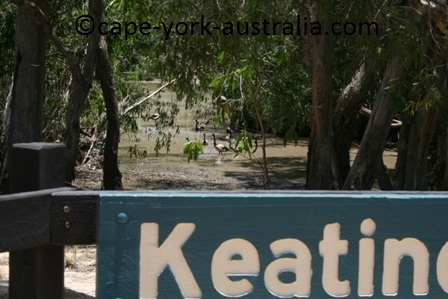 Keatings Lagoon is south of Cooktown. It is a Melaleuca wetland and an important waterbird habitat south of Mt Cook National Park and north of the Big Annan River Bridge. 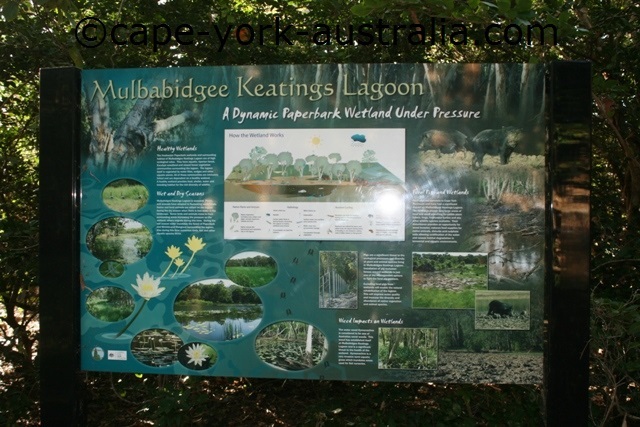 The lagoon is just next to the main road so it's worth stopping if you're into nature and wildlife. 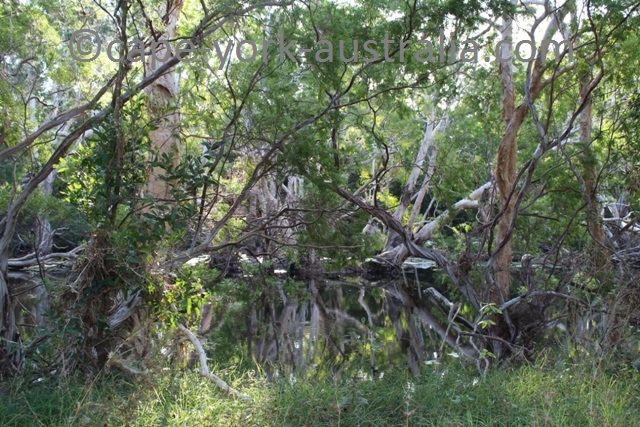 ... although there are supposed to be all sorts of wetland creatures including crocodiles. 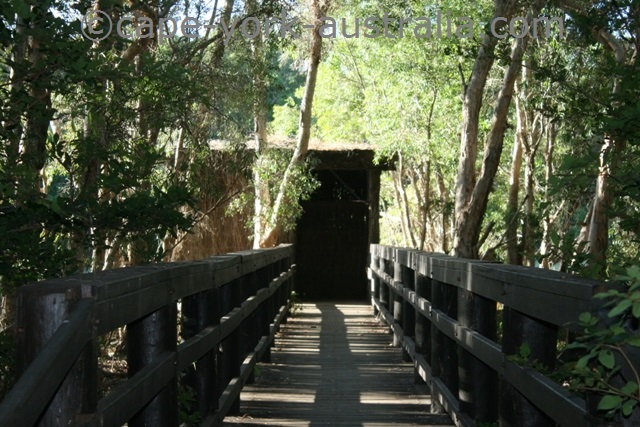 There is a 700m walk into the Keatings Lagoon bird hide, which is a great place to watch the birds. ... and comes to a picnic area by the lagoon. So bringing your sandwiches could be an idea. It is the end of the so-called Wawu Balgal Bubu walk. 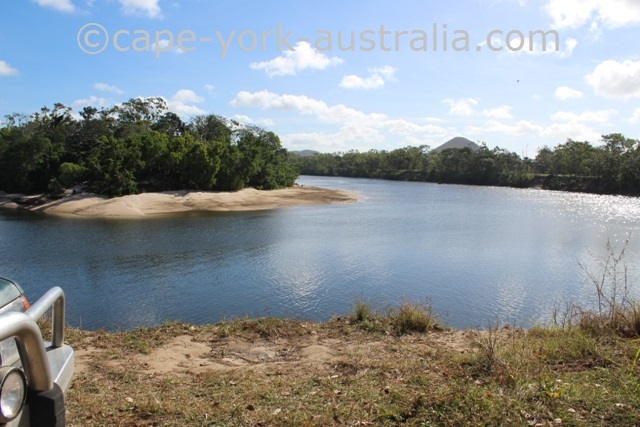 Annan River National Park is just south of Cooktown. 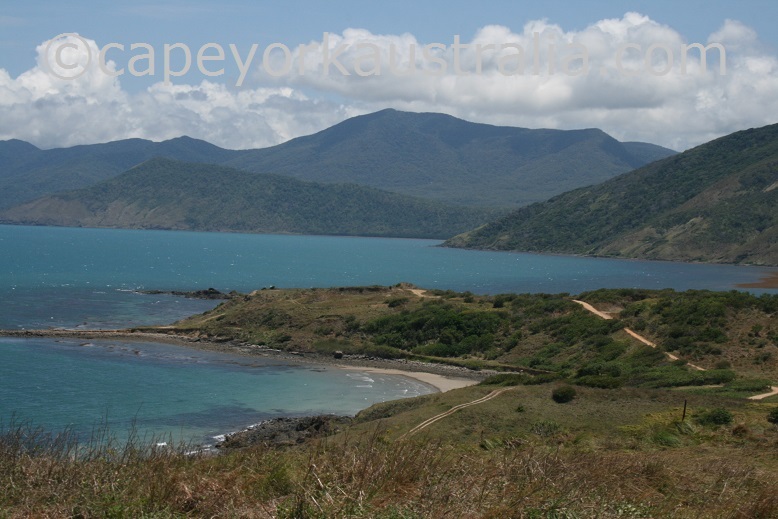 It is a large national park, the largest one in the Cooktown area. It covers the area roughly between Annan River in the north and west, and the road to Archer Point in the south and east. In the area around Archer Point is the Annan River Resources Reserve. 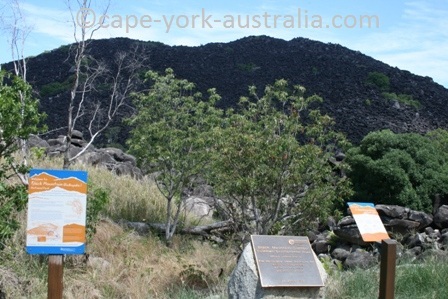 Both the national park and the resources reserve are traditional Yuku Baja-Muliku Aboriginal area, and apart from Archer Point itself there is no access and no facilities. One exception is that you can access Walkers Bay - the area around the mouth of Annan River. And there is another area where you can get close. It is Fisherman's Bend just north of Annan River. 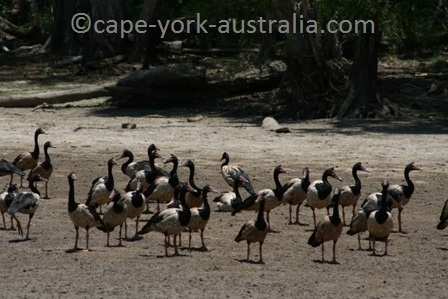 The spot is quite popular and well known amongst locals as a good place to spot crocodiles. Fisherman's Bend is not inside the national park, but Annan River national park is across the river. 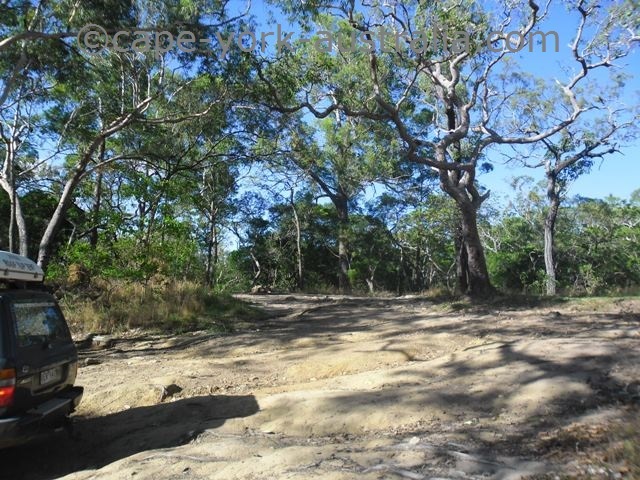 There are a few tracks you can walk or drive, including some to Keatings Lagoon and Pooles Lagoon nearby. 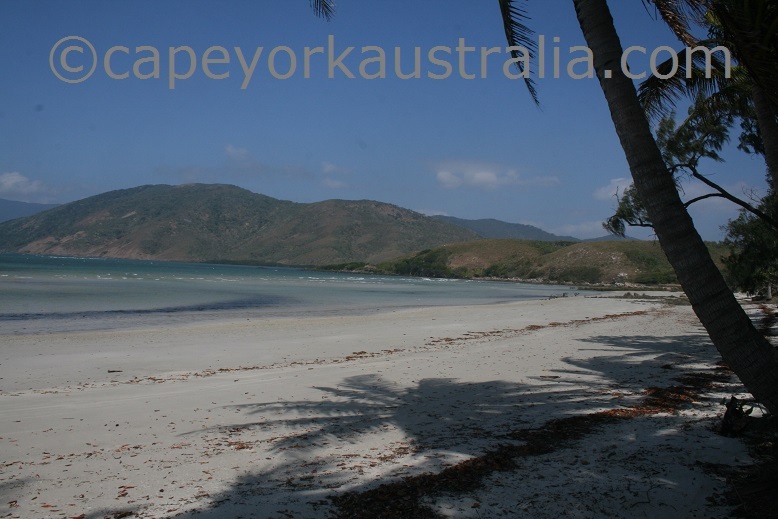 Archer Point is a beautiful spot south of Cooktown. 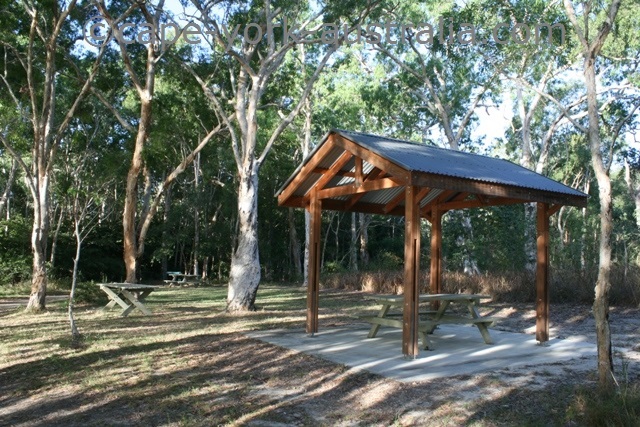 It is a lovely coastal camping and fishing spot, in the Annan River Resources Reserve. 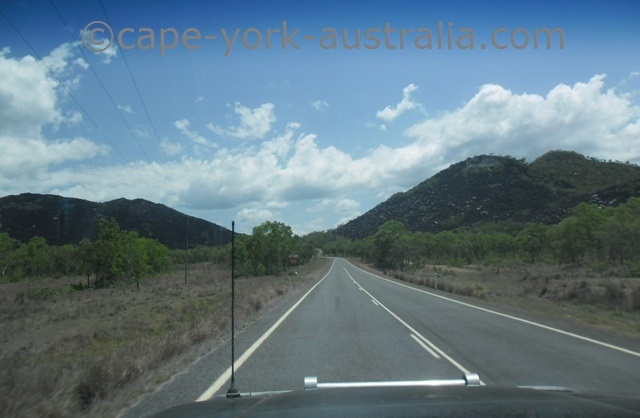 There is a turnoff from the highway south of Annan River National Park and north of Black Mountain National Park. 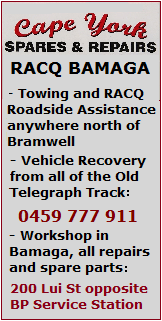 The road in is gravel but you don't need a four wheel drive and it is suitable for caravans (in dry weather at least). 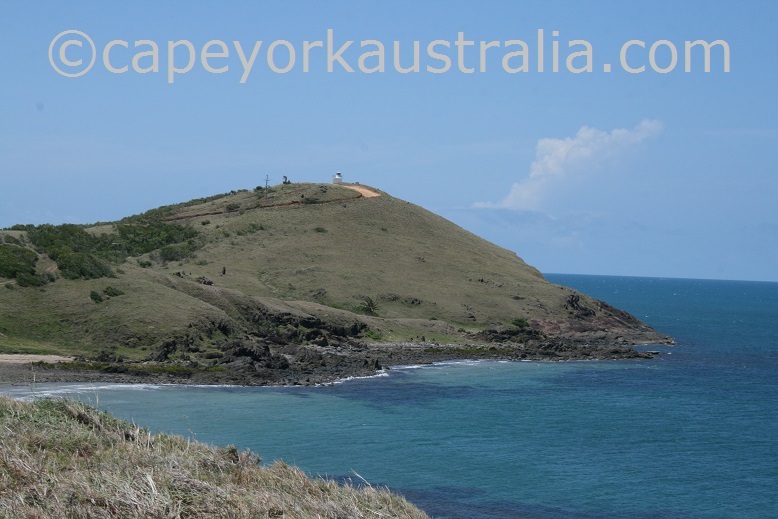 As you get to the beach, there are beautiful views over bright blue waters and the Rocky Islet with its lighthouse. On your right hand side is a beach with some great shady camping spots. On your left hand side the track continues to the hill with a lighthouse. 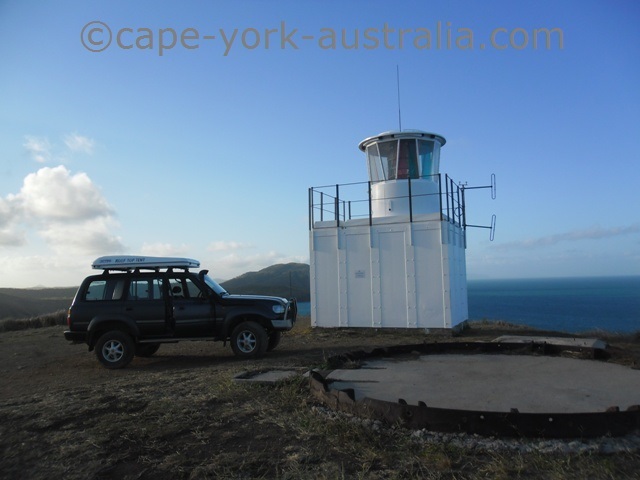 It is a bit of a steep track up, but the views from the lighthouse are beautiful. 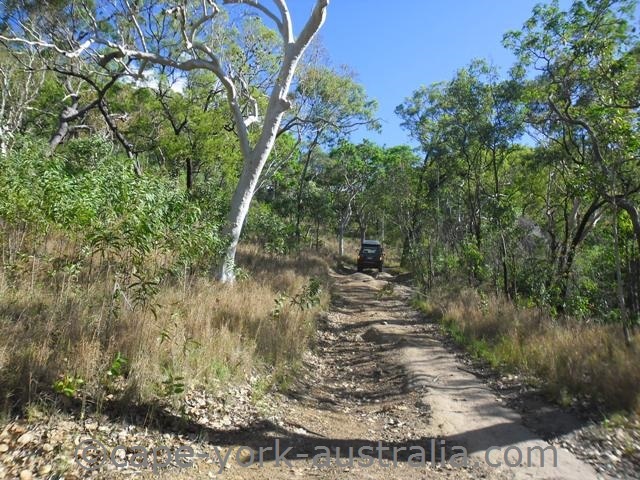 There are also a few pretty good four wheel drive tracks on the hills here. 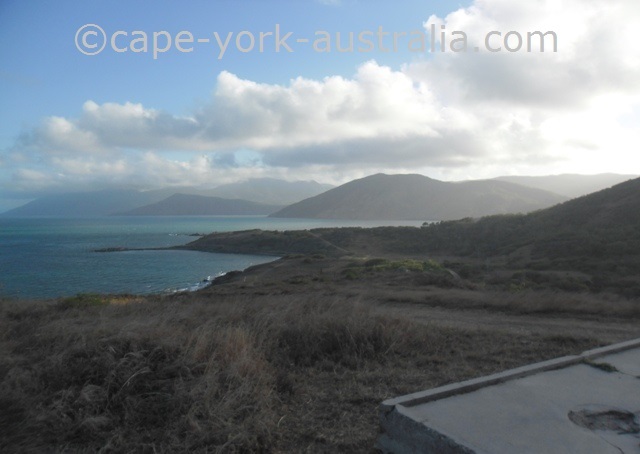 Archer Point is one of the greatest spots to fish around Cooktown. 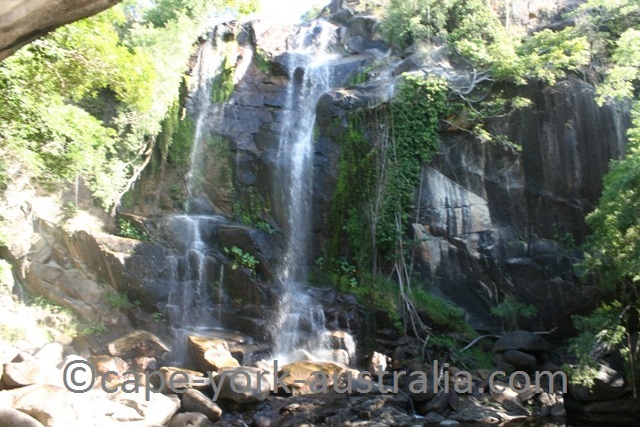 Trevethan Falls are south of Cooktown. They are not easy to find because there are no signs on the main road. 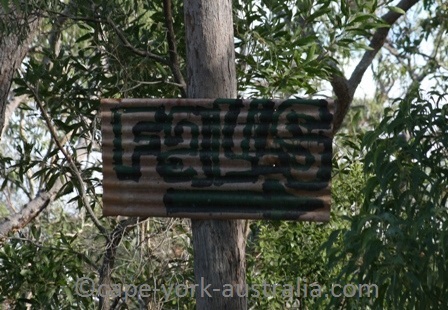 There is a sign of Trevethan Creek where you cross it, but this is not where you get to the falls. 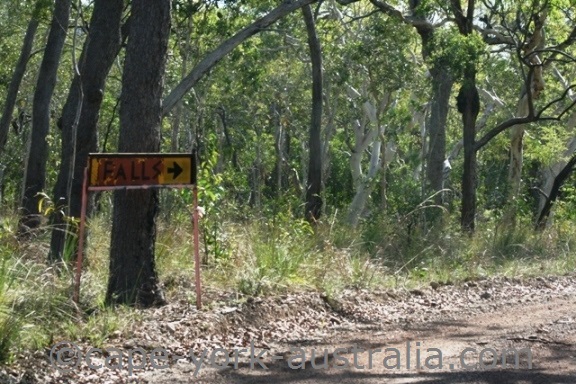 To get to the falls, you will have to turn into Mount Amos Road - which, by the way, doesn't go all the way to a nice beach as does the road to Archer Point. Mount Amos Road goes to some locals' houses and that's it. ... and then a third one (we are on our way out here so you turn right where we are coming out). A bit more than three kilometres later you come to a carpark on your right hand side (again we are on our way out). 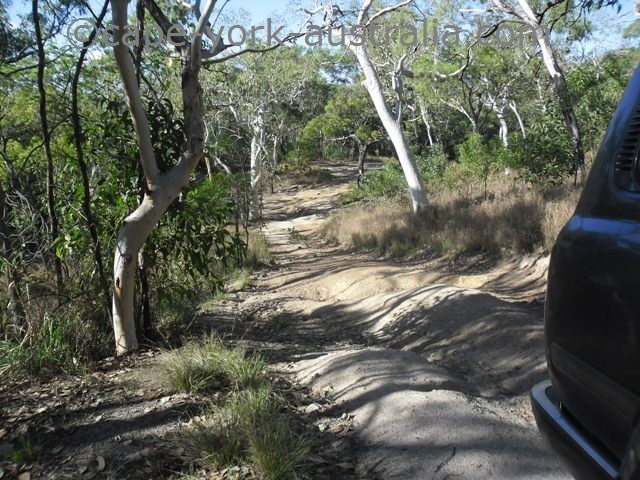 You can park there, or you can continue driving a little bit to the start of the walking track. The last bit is a little steep and rough. 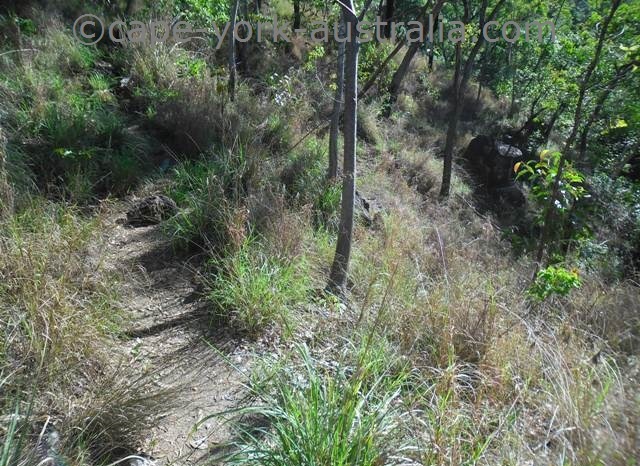 The walking track is easy, but on quite a steep slope so you have to watch your steps. Once you get to the falls they are beautiful. 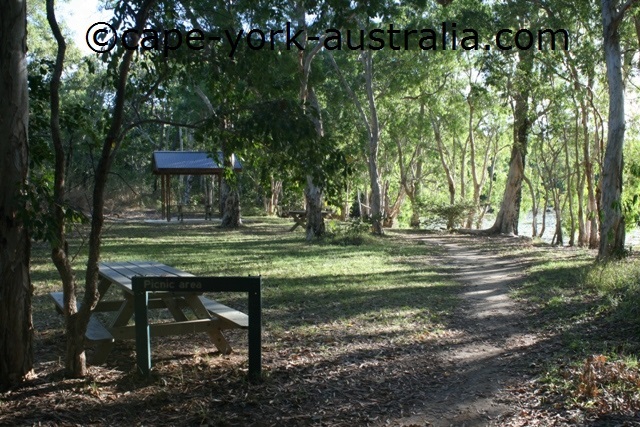 It's a great place to bring a picnic or a few coldies and have a good swim. 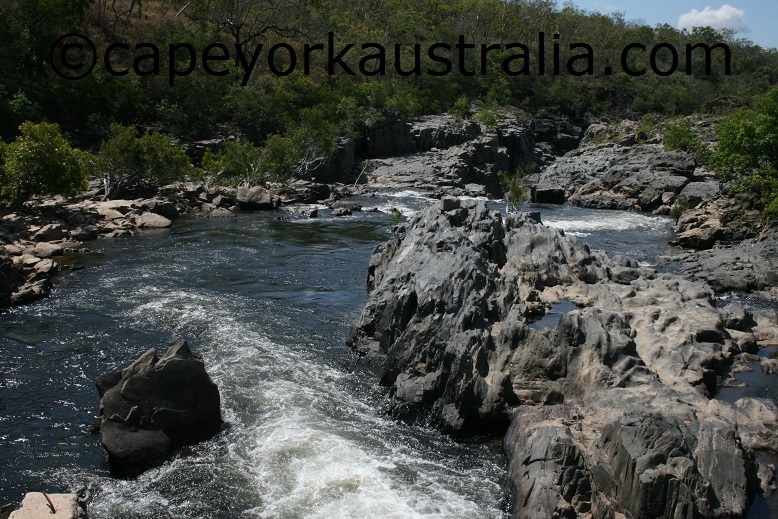 Little Annan Gorge is south of Cooktown. 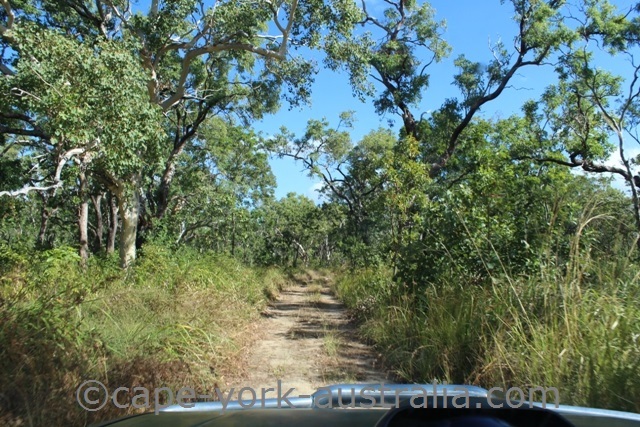 It is in the northern end of Mulligan Highway, just before the turnoff to Wujal Wujal, Lions Den and the rest of the coastal road. ... with some interesting looking geology. 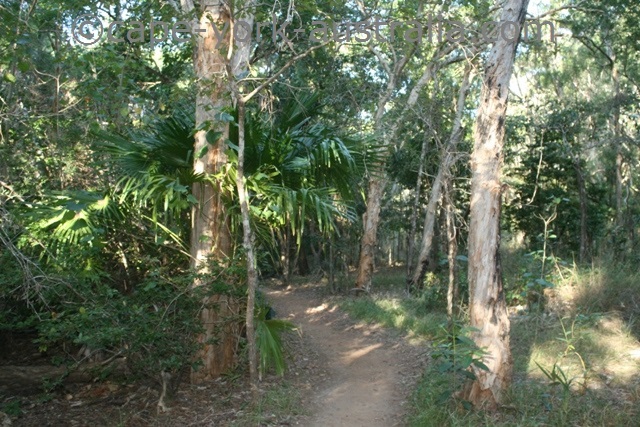 Black Mountain National Park is just south of Cooktown. It is impossible to miss these huge, strange looking mountains on both sides of the highway. 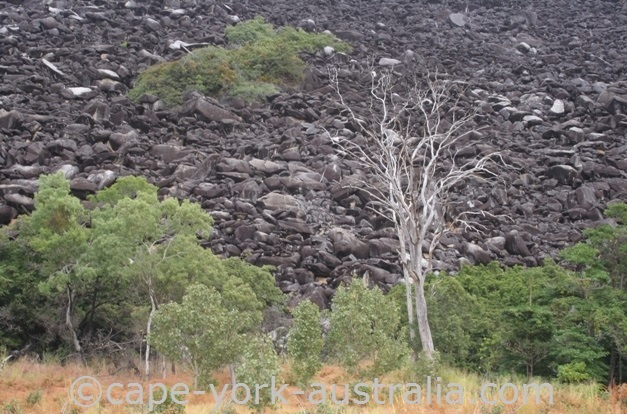 They really look like (and at least in the upper layers they are), heaps of loose black rocks, and somehow even a little bit of vegetation grows on them. It is really different, and you just wonder how did they get here, why do they look like they do, how did such mountains form? 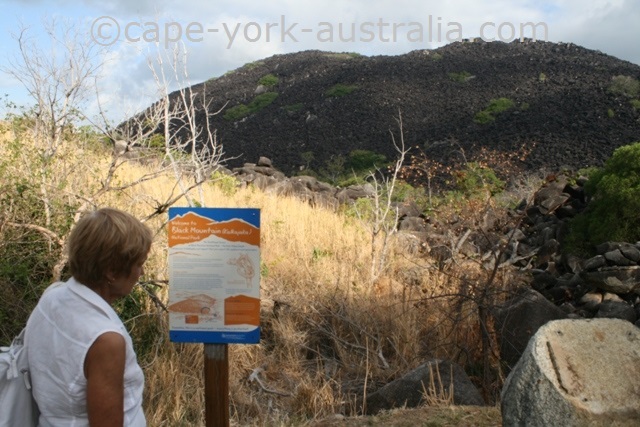 No wonder they were a special place for the local, Kuku Yalanji Aboriginal People, to whom the mountain is known as Kaklajaka. Well on the signs in the carpark, a few things are explained. They originally all were the same body of rock, which formed under the surface of the Earth, when a mass of magma cooled and became solid - quite a common way for a mountain to form. What was unusual, was the jointing pattern in the rock, which caused the fracturing once the rock body was exposed thanks to erosion of the softer material around it. Water got into the fractures, chemical reactions happened, minerals were turned into clay, which was washed away, further separating the blocks from each other and rounding them into boulders. Deep under the boulders, a solid mass of granite remains. 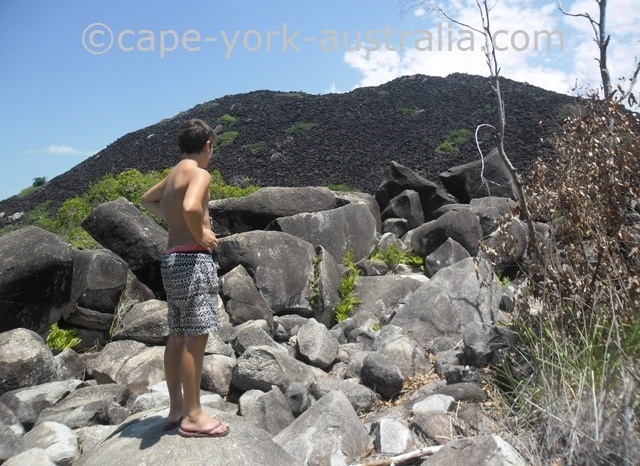 Granite is not a black rock - on the surface of the boulders grows an algae that makes them black. In between the boulders, there must be at least enough soil for the few plants to grow. There are also snakes and other animals, including brown tree snakes, amethystine pythons and wallabies that they eat; and a frog, a skink and a gecko that are totally endemic to Black Mountain National Park - found nowhere else in the world. There is a small track that goes a little bit off the carpark next to the highway, where you can get a bit better view of the mountain. It's only about 10% of the mountains of Black Mountain National Park that you can see. There are no walks, no camping and no access to Black Mountain National Park - the only place where you can enjoy it is from the lookout point.